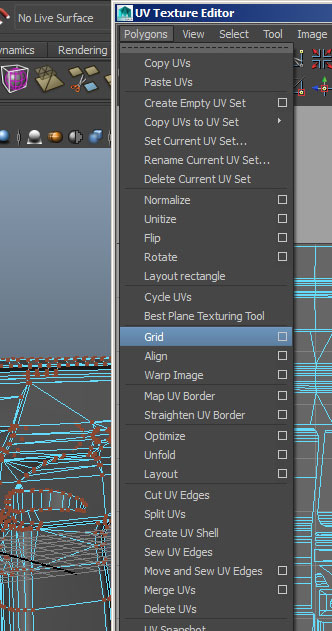 We have a Grid tool in UV Editor, for repositions any currently selected UV to its nearest grid intersection in UV texture space. But the problem is that we have MAXIMUM in Grid U and Grid V number of grid lines set to 1024. But what if we need or have more high res texture? Something like 2048 or even 4096? 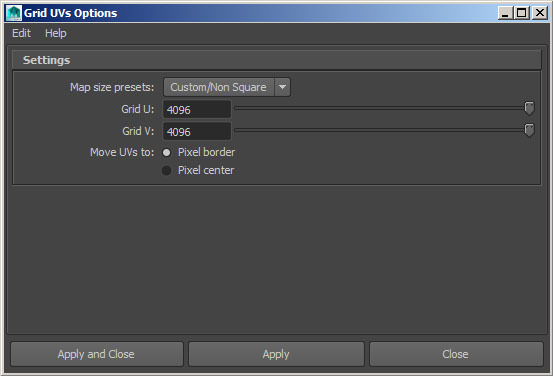 You can download performPolyGridUV4096, just unzip to the root Maya folder (2014,2015 certainly works). Now you will have an ability to set up to 4096.